On October 2nd, 2017, a security camera caught footage of a touching moment that has since gone viral. 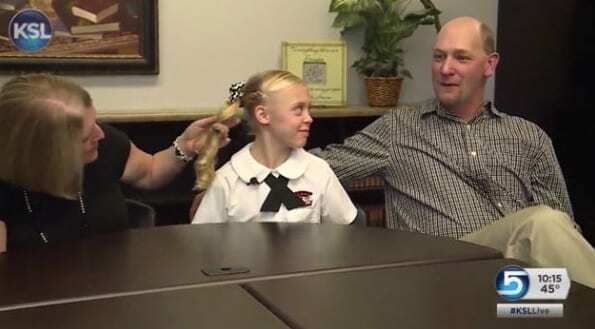 The video showed an 11-year-old girl named Tannah who was just told that she was going to be adopted by her foster parents. The sweet girl’s emotional reaction to the news made viewers everywhere cry their eyes out. 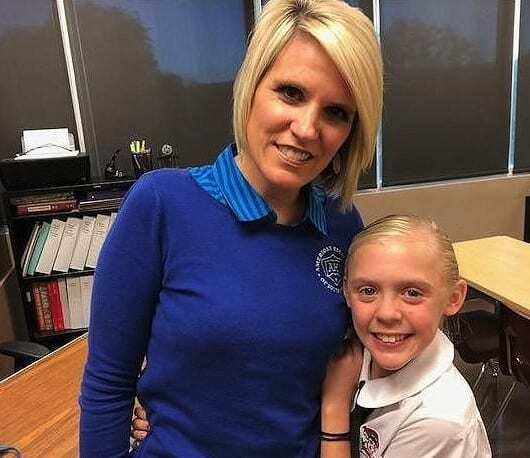 It all started when Jackie Alexander, the school’s office manager, got a phone call from Jen Fisher, Tannah’s foster mom. She was so excited for her new daughter to hear the news and asked Jackie if she could tell Tannah during their daily meeting. Jackie has been a close friend of Tannah and her family for the last two years, since the young girl first got fostered by Jen and her husband. She couldn’t wait to break the news to the 11-year-old, who had been worried that the adoption was not going to go through. Tannah’s reaction was everything and more. She jumped up and gave Jackie a heartfelt hug, she couldn’t stop crying and holding onto her. Both Tannah and Jackie were filled with so much emotion and happiness. 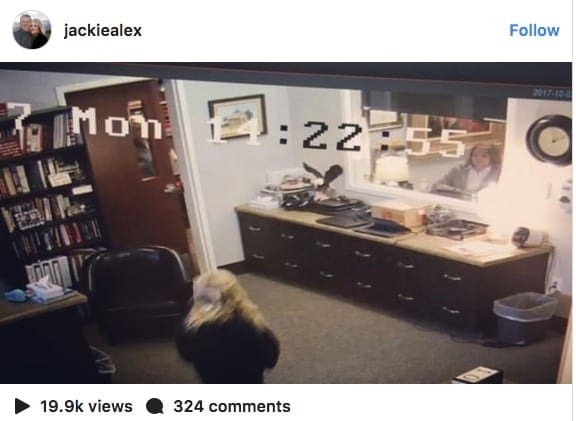 After seeing what the security camera captured, Jackie knew that she had to share the special moment on Instagram. Only two days after the tragic shooting in Las Vegas, Jackie thought that it was important to share something uplifting, reminding people that “life can be and still is beautiful in spite of it all.” The video was an instant hit and went viral overnight. Jackie had no idea that it was going to get as many views as it did. The popularity of the video led to several news coverage stories and articles about the Fisher family. The Fishers hope that this story will encourage others to foster or adopt as well. 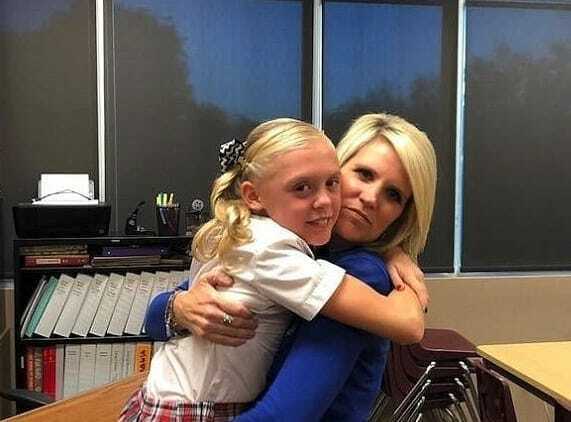 American Heritage School in South Jordan, Utah, recently caught some touching footage that went viral. 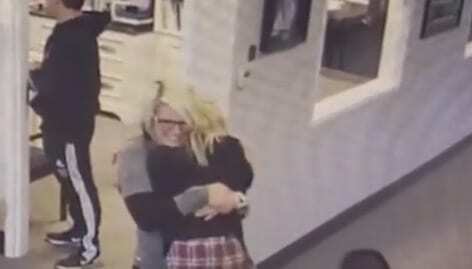 In the video, an 11-year-old girl named Tannah Butterfield is seen jumping with excitement while she gives the office manager of her school, Jackie Alexander, a huge hug. Jackie had just told Tannah some incredible news that was going to change Tannah’s life forever. It is clear to see just how big the news was by seeing Tannah’s touching reaction. Tannah had just found out that her dream was about to come true, she was going to be adopted. On October 2nd this year, Jackie received a call from Jen Fisher, who has been fostering Tannah for some time. 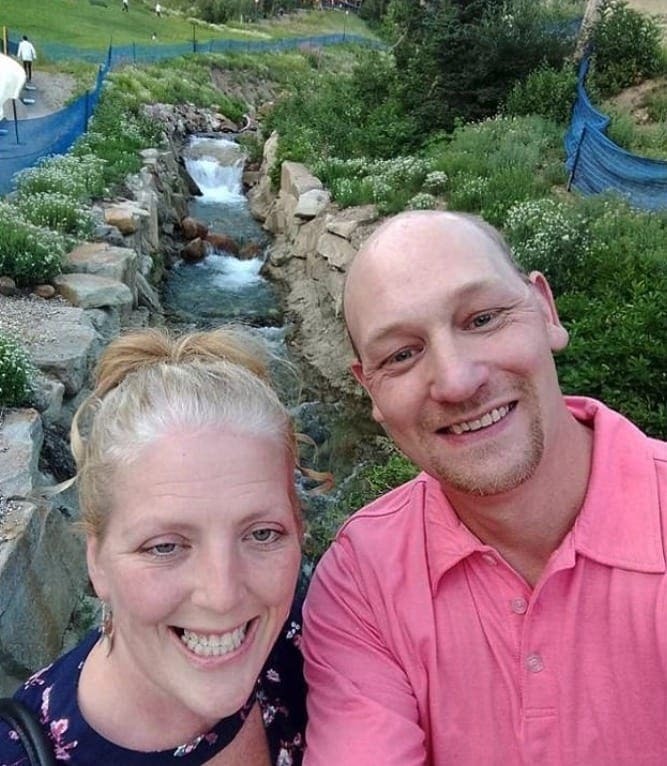 Jen and her husband Jeff officially adopted Tannah, and Tannah could now call Jen her mom and not just foster mom. Tannah was filled with lots of emotion and happiness, she was finally going to have a permanent home. Not only did Tannah get adopted, her six-year-old brother Teagun and two-year-old sister Tallie are also getting adopted by Jen! 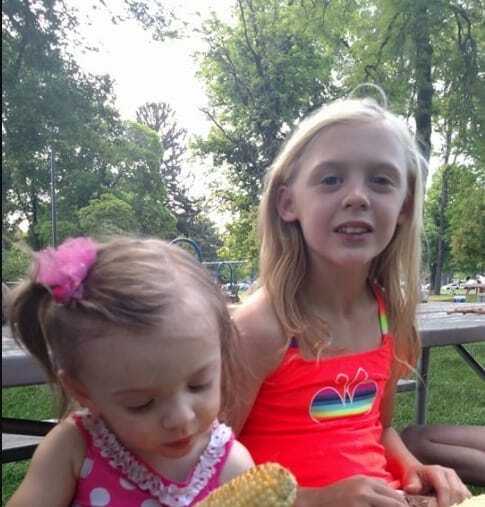 Jen took Tannah and her siblings into her home as a foster parent, and has been fostering them for two years. She fell in love with them instantly and knew she wanted to provide them a permanent loving home that they deserved. Jen has been jumping through loops and ladders and a whole lot of bureaucracy trying to adopt the three children. Jackie says that she has known the 11-year-old student for two years and that over the years they have formed a very special bond and relationship. Jackie knew everything about the foster child’s situation and was always rooting for her to find a permanent home. Jackie spoke about the connection, “She’s just one that I’ve made a little bond with and it’s lasted.” It is no wonder why Tannah’s new mom decided she wanted Jackie to be the one to break the news. Extremely grateful and happy over the good news, Jackie decided that she just had to share the video with others, so that they could see how important adoption really is and how it changes children’s lives. She posted the video which captured the whole touching moment, on her Instagram page. Along with the video, she also posted a very heartfelt story, making it impossible for readers to keep their tears from flooding! Jackie’s post read the following: “Some Mondays are better than others. I share this with permission from the parent of this student. This is pure testament that in a world full of turmoil and strife, there is still light and joy to be found in little everyday moments.” Jackie’s post came shortly after the tragic shooting that happened in Las Vegas. She wanted to give the country an uplifting story in the moments of darkness and evil. 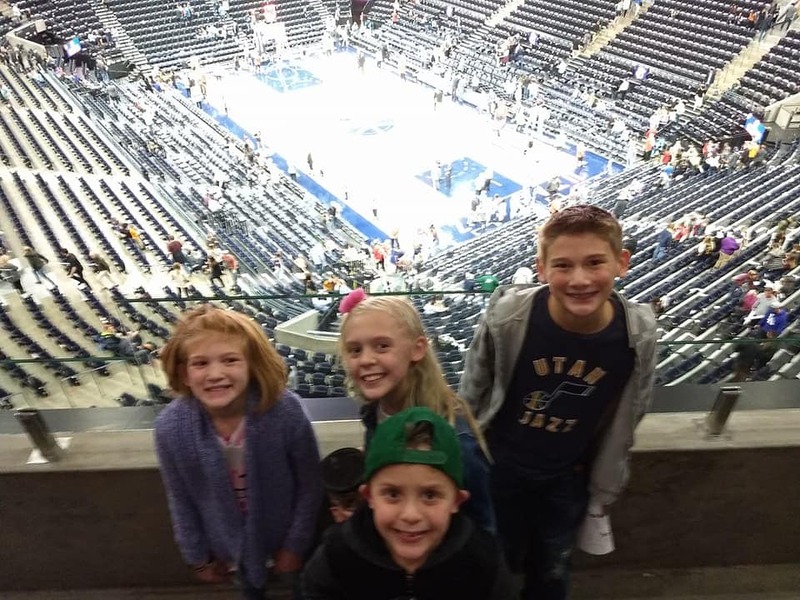 Jackie continued with her post, “A dear family I know has been fighting for as long as I can remember to adopt 3 of their foster children that attend our school. It’s been hard to watch them fight this emotional battle. 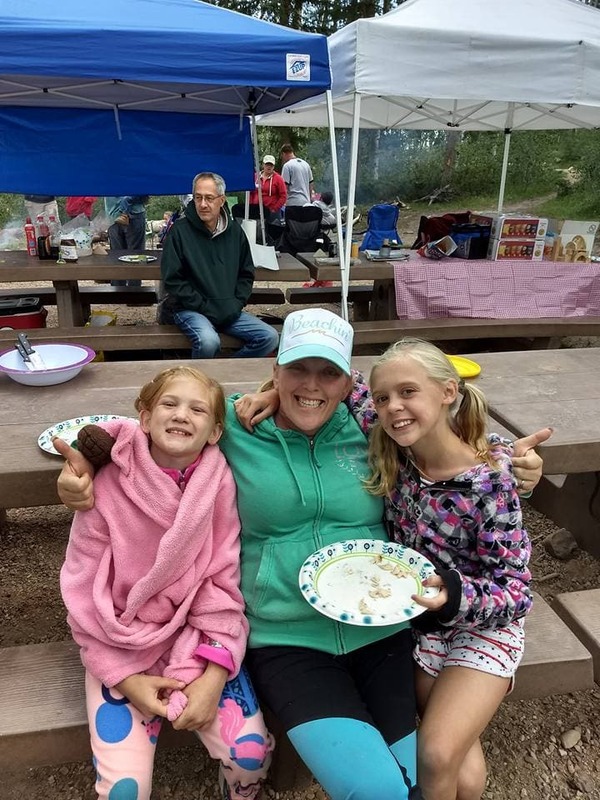 My love has grown for this family and I have learned so much from them as they have tried to remain positive despite many set backs.” It was clear to see that Jackie not only developed a close relationship with Tannah, but also with her foster mom. Tannah and her siblings will not just be gaining new parents, but also a new brother and sister. 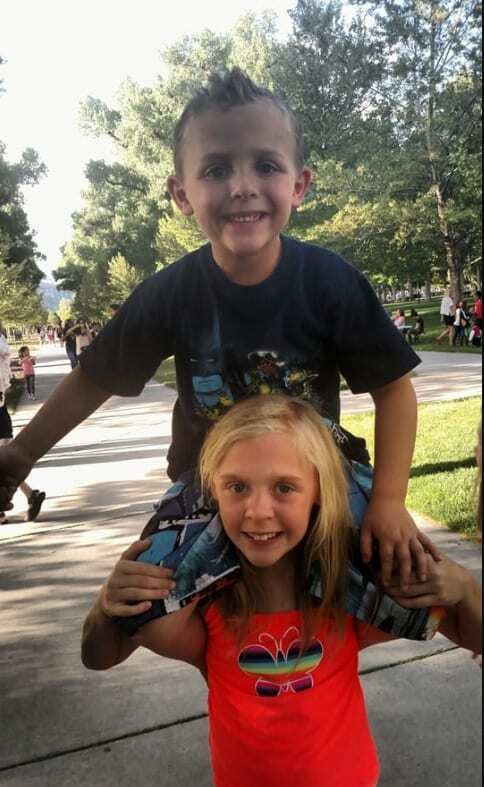 The Fishers have two biological children, a 13-year-old boy named Aiden and a 10-year-old girl named Macy. “We just loved them so much” said Jennifer. Even though it wasn’t official yet, the Fisher family already treated Tannah and her siblings as one of their own. Tannah said that the foster parents took really good care of them. 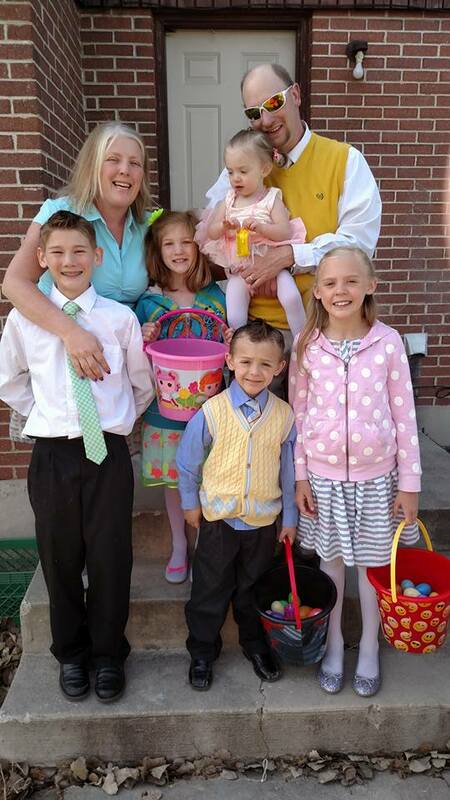 When Jennifer and Jeff Fisher took in the three foster children, they knew that it wouldn’t be easy at first. However, it was surprising how quickly everyone got along and the children were so happy to have a safe home with such loving foster parents. 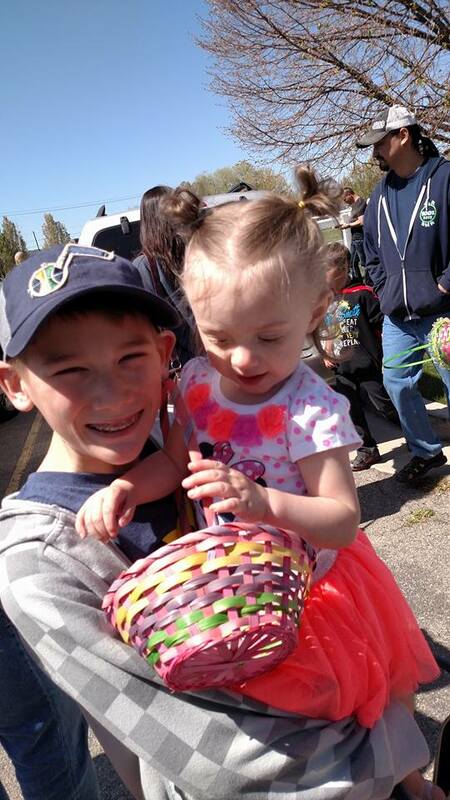 The Fishers included the children in everything they did, from Easter egg hunting to birthday parties. They never once felt left out. It was as if it was meant to be. Of course, Tannah and her brother and sister were not the only children looking for a forever home, unfortunately there are still thousands of children waiting to be adopted in the U.S. According to recent studies, the majority of adoptions in America involve children adopted out of foster care. Each year in the United States there are a total of around 135,000 children who are adopted. However, there are still hundreds of thousands of children waiting to be adopted in the U.S. as we speak. As of this year, there are around 107,918 foster children waiting to be adopted. The average age of a foster child waiting for a home is 7.7 years old and 29% of them will spend at least three years in foster care. Tannah and her siblings were some of the lucky ones. It is known that the foster system in America is not ideal. More than 56,000 children in foster care are sent to live in large group homes where there are usually too many other kids. The homes often get crowded and the atmosphere becomes a troubling and sometimes unsafe place for the children. Sadly, there are thousands of stories of foster children getting abused and treated unfairly. Another unfortunate event that happens more often than not in the foster system is the splitting up of siblings. In fact, more than half of children are split up from their brothers and sisters. Sadly, most of these separated brothers and sisters move on with their different lives and lose touch, especially when split up at a young age. 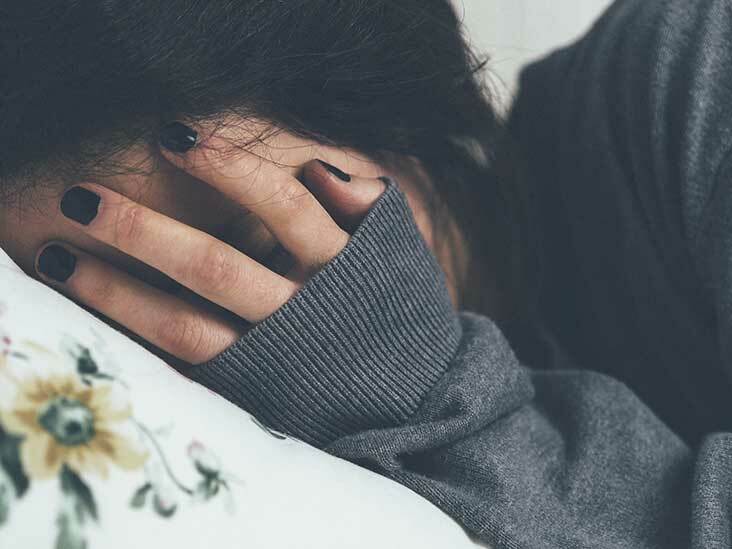 Getting separated from their brother or sister causes a great amount of trauma in the foster child’s life, and it often results in anger, anxiety and pain. Tannah and her brother and sister were all extremely lucky to have found a home where they can stay and grow together. While we don’t know the full background story of what the three foster children have been through before they found the Fishers, it is safe to say that they have a bright future ahead of them with their new, loving and dedicated family.